New legal developments have not resulted in major changes this year, except for car insurance. 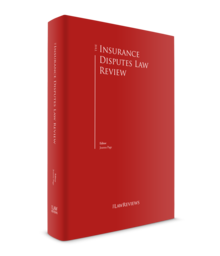 Most of the changes provide clarifications about well-established rules of insurance disputes in substantive and procedural terms that are helpful for practitioners. However, the evolution of the insurance market and recent trends within insurance litigation raise many thorny issues that remain unresolved. France has a specific code dedicated to insurance law. This code provides very precise rules that derogate from the law usually applicable in contractual matters. For instance, the limitation period is two years for insurance claims, whereas it is five years for contractual claims.2 In addition to the specific law applicable to the insurance contracts, different regimes are set out according to the nature of the insurance policy (car insurance, life insurance, liability insurance, etc.). As a result, numerous solutions under French law are specific to a particular kind of insurance, and cannot be generalised to all insurance policies. The French Civil Code may also come into play in insurance disputes. It applies in all matters related to the insurance policy that are not governed by a specific provision under the Insurance Code. Other specific provisions may also come into play, such as the Consumer Code when the dispute is between a professional and a consumer. Finally, European directives on insurance hold considerable sway over insurance law. As noted below, the European influence was again recently demonstrated as it resulted in rendering ineffective some provisions of the Insurance Code related to car insurance. Under French law, the subscriber does not need to show any interest to conclude an insurance policy. As a result, the subscriber can issue an insurance policy not only on his or her own behalf but also on behalf of a third-party beneficiary. In addition, a risk cannot be underwritten by an insurer if it contradicts public policy. Notably, criminal offences are not insurable. Therefore, a company cannot ask its insurer to pay a fine for which the company is liable. French law does not provide for a specific court to deal with insurance-related claims. Depending on the nature of the parties, the claim can be brought before the civil courts, the commercial courts and even the administrative courts when it involves public entities. The court found that there was a very close link between the mandate and the insurance policy. It then allowed a hedge fund that made high-risk investments while managing an insurance portfolio to benefit from the two-year limitation period. This case testifies that the special limitation period may extend to other contracts closely linked to the insurance policy, especially when a group of contracts exists. This distinction can be very hard to make in practice and needs frequent clarifications from courts. For instance, in Perron company and others v. Allianz IARD,10 it was ruled that the clause that limited the guarantee to certain circumstances in which a risk occurred did not concern 'the nature of the risk covered'. 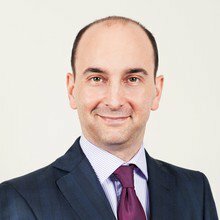 In National Military Security Found and Benoit X v. Crédit Mutuel and Guillaume Y,11 the Cour de cassation held that the waiver of future claims contained in a settlement agreement prevents the victim from claiming further damages even if they were not covered by the settlement. In this case, the victim suffered various losses then signed a settlement agreement with the insurer of the wrongdoer. Afterwards, the victim sued the wrongdoer and his insurer for further damages that were not covered by the settlement. Under French law, there are two contradictory theories to resolve this issue. First, the 'theory of the scope of settlements' states that the settler may claim for some losses that are not pointed in the settlement. On the contrary, the 'theory of abandonment' states that the settler waives all his or her rights to claim for damages related to the dispute regardless of the fact that the settlement does not deal with them.12 In the matter at hand, the court decided that the abandonment theory should prevail because the settlement agreement stated that 'the victim declares to be satisfied of all of his/her rights.' However, this does not mean that the same rule will apply in every case. It mainly depends on the way the settlement agreement is drafted. In C.R.A.M.A v. Mr X,13 it was found that the insurer cannot raise a settlement agreement concluded with the victim of the wrongdoing against the co-perpetrator of the damage. In this case, the damage was caused by two wrongdoers. The insurer of the first wrongdoer concluded a settlement with the victim and compensated her. Then, the insurer of the first wrongdoer sought to reclaim half of the settlement sum from the second wrongdoer. However, the court found that the second wrongdoer was not bound by the settlement agreement concluded by the first wrongdoer. The fact that the second wrongdoer was aware of the settlement did not mean that it could be enforced against him. However, the insurer can invoke a false statement made by the policyholder in the insurance form only if the questions asked by the insurer were sufficiently precise.15 The insurer has to prove it had asked clear questions to raise any defence based on the policyholder's false statement. Consequently, if the question is slightly unclear or stated in overly general terms,16 the insurer loses any defence based on the imprecise answer given. One should note that, in this case, the court did not contend that administrative penalties are not insurable per se as contrary to the public policy. On the contrary, the court took the time to determine whether the breaches committed were intentional or not. Thus, this case seems to confirm a position the Cour de cassation began to establish in 2012.18 Beforehand, it was often stated that administrative penalties boiled down to criminal sanctions and were not insurable. Now the position seems to have been amended: administrative penalties seem to be excluded from the insurance coverage when the policyholder has committed an intentional breach. 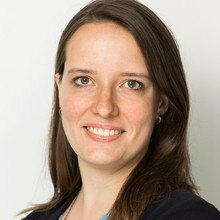 In Family'Immo v. Lloyd's,19 the Cour de cassation ruled that the serious negligence of the policyholder who knowingly put its clients at risk did not amount to the intentional breach required to exclude the risk's coverage by the insurer. In this case, an estate agency, Family'Immo, knew that the property bought by its clients had several construction defects but made the sale anyway. Family'Immo was found liable for contractual breach and asked its insurer, Lloyd's, to compensate its client. The court ruled that even if the negligence of Family'Immo was unacceptable for a professional since it acted in bad faith, it did not amount to an intentional breach within the meaning of the Insurance Code. In addition to the legal exclusions, insurers can exclude some risks from the insurance policy. Pursuant to Article L.113-1 of the Insurance Code, those contractual exclusions need to be 'formal and limited'. A significant part of the insurance litigation in France is related to this issue. A recent application of the rule to insurance of defective goods in Carrières de Voutré Ltd v. Allianz IARD 20 is particularly instructive. In this case, Matco Ltd concluded an 'industrial and commercial liability' insurance policy with Allianz IARD. Matco sold a crusher to Carrières de Voutré Ltd (Carrières). The crusher broke down twice. Carrières initially repaired the defective crusher itself. The second time, Carrières initiated a direct action against the insurer. But the applicable insurance policy excluded 'repair and replacement costs'. Carrières tried to defeat this exclusion by stating that the clause did not comply with the requirements of Article L.113-1 of the Insurance Code as it did not specify whether the exclusion concerned the costs incurred by the policyholder or by the person who suffered the loss. The court ruled that the exclusion was sufficiently precise and that it covered the repair and replacement costs incurred by the victim itself, not only the repair and replacement costs incurred by the policyholder. In this case, a nightclub owned and operated by La Riviera was ravaged by a fire. It appeared that La Riviera, which had entered a P&C insurance with Alpha Insurance, did not comply with precautionary measures listed in the contract. La Riviera raised plenty of defences to override the condition precedent of the insurance policy. All of them failed. First, La Riviera argued that the conditions were so numerous that they contradicted each other. According to La Riviera, the guarantee was therefore illusory. This head of claim referred to Chronopost,23 in which the Cour de cassation decided that a contractor cannot limit his or her essential obligation to the point that the said obligation is no longer effective. Nevertheless, the court rejected the claim by stating merely that the guarantee was not illusory. La Riviera also questioned the appropriateness of the conditions. According to La Riviera, the breached preventive measures would not have enabled it to avoid the fire even if they had been taken. The court rejected the argument, standing by a strict application of the clause. This may be the most discussed topic recently. In Fidelidade-Companhia de Seguros Ltd,25 the Court of Justice of the European Union stated that the European Directive 72/166/CEE of 24 April 1972 that deals with car insurance prohibited domestic law from providing that certain defences, such as the invalidity of the car insurance policy, can be raised by the insurer against the victim of a car accident. The Poly Implant Prostheses (PIP) breast prostheses scandal is another ongoing legal saga, which has lasted over eight years in France. In 2010, PIP placed breast prostheses on the market that were produced in disregard of certain public health regulations. The hazardous prostheses were implanted in thousands of patients, leading to disputes in several countries. In Electromedics Ltd and others v. Allianz IARD,28 the Cour de cassation made a ruling in an action brought by the foreign distributors of the defective prostheses against the insurer of PIP. In the case at hand, distributors from Brazil, Italy and Bulgaria asked for compensation from Allianz IARD on the basis of a liability insurance policy that Allianz had entered into with PIP. The distributors raised multiple losses that were covered under the policy (e.g., losses of turnover, stocks, margins, provisions paid for compensation of the customers). However, the insurance policy defined its territorial scope as limited to the 'harmful events' that occurred in France. Thus, the issue was whether the damage had occurred in France. According to the foreign distributors, the harmful event occurred during the manufacturing of the prostheses by PIP (i.e., the harmful event would allegedly have occurred in PIP factories in France). The Cour de cassation rejected the argument and held that the 'harmful event' was the breaking of the prostheses, which occurred out of France. Thus, the losses suffered did not fall within the material coverage of the insurance policy. In 2003, major abnormal rainfalls occurred in the south east of France. This resulted in floods that particularly hit the town of Arles. Swisslife Insurance compensated a large number of inhabitants who suffered damage to their properties. The final bill amounted to more than €5 million, yet the town was surrounded by flood barriers connected to the railway line used by SNCF, the French national rail operator. These protections having been ineffective, Swisslife Insurance exercised recourse against SNCF and the French state. However, the State Council, which heard the claim, found no breaches by the defendants. The court pointed out that the floods were provoked by one of strongest rainfalls on record. The court concluded that the state and SNCF could not be held liable since their alleged breaches would be excused on the grounds of force majeure. In Ergo Versicherung AG v. EPMD,30 it was ruled that French courts could order measures of inquiry in futurum in France within an insurance dispute even if foreign courts had substantive jurisdiction to handle the case. French law refers to European standards provided by Regulation Brussels I bis No. 1215/2012 of 12 December 2012 to establish international jurisdiction of French courts. Article 35 of Regulation Brussels I bis provides that a party may apply for 'protective measures as may be available under the law of that Member State, even if the courts of another Member State have jurisdiction as to the substance of the matter'. In this case, the policyholder applied for measures of inquiry in futurum. Under French law, measures of inquiry in futurum can be granted by the President of the Court to allow a party to collect evidence before any legal proceedings.31 Therefore, the issue was whether those measures of inquiry in futurum are 'protective measures' in the meaning of Regulation 'Brussels I bis'. The Cour de cassation found measures of inquiry in futurum consisted in 'protective measures' and then fell within the scope of Article 35 of Regulation Brussels I bis. The dispute was about an exclusion of guarantee provided by a transport insurance policy. In this case, two conflicting sets of rules were potentially applicable: the Convention on the Contract for the International Carriage of Goods by Road (CMR), Geneva, 19 May 1956; and the conflict rules applicable for insurance matters. The court stated that the CMR is a special convention applicable to transport that could not govern the law applicable to the insurance contract, but only determine the insurable risk. Thus, the court applied the rules of conflict applicable to insurance matters. The case National Confederation of Housing v. 3F Real estate company 34 does not concern an insurance dispute but may have an impact on class actions that could be brought against an insurer. In this case, the court declared inadmissible the action of an association of consumers seeking remedies for a breach committed by a professional lessor under several similar rent contracts. According to the ruling, the rent contracts were not 'provision of services' contracts within the meaning of the Consumer Code. We can imagine that this reasoning could be transposed to class actions against an insurer, which could be declared inadmissible since those actions are found in the Insurance Code and not the Consumer Code. Insurers may also intervene in class actions as the guarantor of the victims or the wrongdoer. The Healthcare System Modernisation Act No. 2016-41, 26 January 2016, extended class actions to damages caused by healthcare products, which is a growing concern for insurers. The Distribution Insurance Act No. 2018-361 of 17 May 2018 has significantly developed the insurer's duty of information. The text provides for some vague standards. For instance, it states that 'distributors of insurance products act in an honest, impartial and professional way'. It is also required that the insurer provides 'objective information about the offered insurance product in an understandable form'. Ever-growing litigation may arise from this text, which offers a great leverage to policyholders to obtain remedies for breach of pre-contractual information. As stated above, a recent ruling from the European Court of Justice has forbidden insurers from raising almost all defences available against victims of car accidents. In practice, this issue has contributed to a large part of car insurance litigation, so this is likely to disappear in the long run. As illustrated by Swisslife Insurance v. SNCF and the State, insurers may be required to provide compensation for major damage without any recourse against third parties, provided that the damage was inevitable. Climate change has consequently become a hot topic for insurers. The increase in climate-related disasters will undoubtedly lead to extensive defences on the ground of force majeure within insurance litigation. In France, damages arising from terrorism are submitted to two different regimes with regard to the nature of the damage. Corporal damages are covered by the Compensation Fund for Terrorist Acts (CFTA),35 which is financed by a contribution on insurance premiums.36 Material damages are left to the insurance sector. Certain insurance policies must mandatorily cover material damages arising from terrorism.37 Thus, insurance disputes related to terrorism mainly concern material damages. However, indemnification disputes with the CFTA in relation to corporal damages tend to develop in France as recently illustrated by Mrs Y v. CFTA,38 in which the CFTA successfully challenged the status of victim of the claimant and denied indemnification. According to Europol, 'ransomware' is now the predominant threat in relation to cybercriminality. It consists of hacking into an IT system, disabling it, and then demanding a ransom to restore the system to its normal state. To face this risk and other risks related to cyberattacks, insurers have issued customised insurance policies that cover this kind of risk. Although the risk is reported to be underestimated by consumers in France,39 an increasing number of cyber-risk policies were taken out last year. However, the high complexity of cyberattacks makes it difficult to know what kinds of risk fall under the insurance coverage. This may lead to some highly technical debates about the scope of coverage in the future. Moreover, the insurability of the cyberattack risk is under discussion as well. Notably, it remains unclear whether the ransom paid to restore a system is insurable. The same goes for political risk. Mirroring global trends, employees of French multinational companies face an increasing risk of kidnapping around the world.40 Specific insurance policies cover all the losses incurred by the company in the event of an attack against its employees on foreign territory: care of the victims, medical care, loss of profits, ransom paid and even the fees of a professional negotiator. The same issues may arise as those discussed above in relation to cyberattack risks regarding the validity of such guarantees: the insurability of the risk and the scope of the coverage. 1 Erwan Poisson is a litigation partner and Delphine Dendievel is a litigation senior associate at Allen & Overy LLP. The authors would like to thank Stanislas Saied, their trainee, for his assistance in drafting this chapter. 2 Article L.114-1 of the Insurance Code. 3 Article ۱۱۰۸ of the Civil Code. 4 Article L.113-1 of the Insurance Code. 5 Article L.121-8 of the Insurance Code. 6 Decision of the Cour de cassation, (civ.2nd) No. 17-11659, 8 February 2018. 7 For example: Nielsen & Cie International v. AGIPI, Decision of the Court of Cassation (civ.2nd), No. 16-17754, 18 May 2017. 8 Article L.113-17 of the Insurance Code. 9 Decision of the Cour de cassation, (civ.1st), No. 95-12817, 8 July 1997. 10 Decision of the Cour de cassation, No. 15-25241, 5 January 2017. 11 Decision of the Cour de cassation, (crim.) No. 16-83545, 13 June 2017. 12 J.Landel, The waiver contained in a settlement prevents the victim from claiming for damages that are not comprised in it, General Insurance Law Review, No. 9, p.489, September 2017. 13 Decision of the Cour de cassation, (civ.2nd), No. 16-20951, 8 February 2018. 14 Articles L.113-2 and L.113-8 of the Insurance Code. 15 Example: Quatrem v. Raymond X, Decision of the Cour de cassation (civ.2nd), No. 16-18975, 29 June 2017. 16 Article L.112-3 of the Insurance Code. 17 Appeal decision (Dijon), No. 16/00598, 24 April 2018. 18 Decision of the Cour de cassation (civ.2nd), No. 11-17367, 14 June 2012. 19 Decision of the Cour de cassation (civ.2nd), No. 16-10042, 12 January 2017. 20 Decision of the Cour de cassation (civ.2nd), No. 16-12120, 2 March 2017. 21 M. Asselain, Insurers should be precise, but not too much!, General Insurance Law Review, No. 4, p.290, April 2017. 22 Decision of the Cour de cassation (civ.2nd), No. 16-22869, 18 January 2018. 23 Decision of the Cour de cassation (com. ), No. 93-18632, 22 October 1996. 24 J. Bigot, J. Kullman and L. Mayaud, Traité de droit des assurances, LGDJ, t.5, No. 394, 2017. 25 Decision of the Court of Justice of the European Union [C—287/16], 20 July 2017. 26 Article R.421-5 of the Insurance Code. 27 H.Groutel, Car insurance: the great change, Liability and Insurances, No. 12, survey No. 13, December 2017. 28 Decision of the Cour de cassation (civ.2nd), No. 16-14951, 8 June 2017. 29 Decision of the Council of the State (Conseil d'Etat) (Div.7th), No. 403367, 15 November 2017. 30 Decision of the Cour de cassation (civ.1st), No. 16-19731, 14 March 2018. 31 Article 145 of the Civil Procedure Code. 32 Decision of the Cour de cassation (com. ), No. 15-13384, 15-13386, 15-14272, 8 March 2017. 33 Article L.623-1 of the Consumer Code. 34 Appeal (Paris), div.4, ch.3, 9 November 2017, No. 16/05321. Proceedings are still pending before the French Cour de cassation. 35 Articles L.126-1 and L.422-1 of the Insurance Code. 36 Article L.422-1 of the Insurance Code. 37 Article L.126-2 of the Insurance Code. 38 Decision of the Cour de cassation, No. 17-10456, 8 February 2018. 39 The market of cyber-insurance: risked for insurers?, Les Echos, 28 March 2017. 40 Risk management: the kidnapping insurance, Le Nouvel Economiste, 15 June 2011.